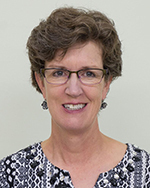 Tracy joined the staff team in September 2013 and assumed the role of Executive Director in May 2014. Being part of an island based charity, connected to direct service delivery and the opportunity to work with a strong Board of Directors is important. Her past employment; includes the YM-YWCA and the Canadian Breast Cancer Foundation along with work with the Municipality of Saanich and Thrifty Foods, have given her a broad range of experience on which to draw from. Her vision is to address community needs for seniors and be an innovative service provider with strong organizational and financial best practices. Christine has lived in Victoria since 2013 and has made valuable connections by volunteering and working for other senior serving agencies like James Bay New Horizons and The Glenshiel. Her background includes Employment Counselling, a diploma in Social Service and Admin Assistant certification. She has also been employed at Women’s Resource Centre, Rogers Sugar and North Shore Continuing Education. Amaiah is a caring program facilitator with advanced education in post-rehab and medical exercise training. 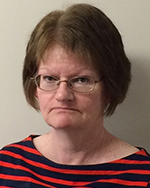 She has more than 15 years’ experience working with Seniors at Recreation, Massage and Community Centres. Amaiah is passionate about wellness, learning about the body/mind interface and helping others function their best. She loves to inspire and teach people to connect within and express themselves through social games, conversation, visual art, music and healing movement. In her spare time Amaiah likes to study psychology, train and hike with her dog and play word games at home with her daughter. Anne is a Post Graduate in Recreation Therapy. 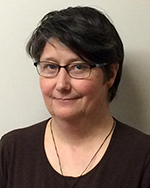 As a Recreation Therapist who has worked in residential and community based organizations in Canada and Australia, she is committed to providing quality programs and services that provide a purpose to seniors. At Silver Threads, she actively engages with all who come to the centre and creates a sense of community for them. Outside of work she is often on the water, paddling on a local dragon boat team. Ro started at Silver Threads Service in December 2015 and already has made a positive impact! With her educational background in History and Education, training in Bookkeeping and Counseling along with vast experience working in community not for profits organizations and school settings Ro is improving our systems, our team and providing a warm welcome to everyone she is in contact with. Ro has lived in the neighbourhood of the Saanich Centre for over ten years and knows the community well. 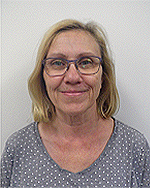 After over 3 years of volunteering with Silver Threads, we are pleased to have Donene join our team as the Food Service Coordinator at the Saanich Centre. She brings experience in the restaurant business and training in pastry making to the role, and a high level of customer service. She believes in helping seniors stay active and sees the value to providing lunches and coffee for folks to connect over. 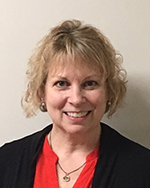 Sandy is an experienced Payroll and Accounting clerk, bookkeeper with an educational background that includes BA’s in Hospitality and Advance Business. 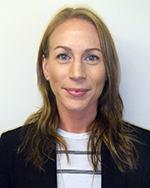 Her recent employment has been with the Oak Bay Beach Hotel, the Backpackers Inn and various other clients. 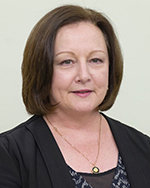 Her knowledge of finance and strong service focus bring strength to both the Board Finance Committee and the staff team. Amy is the newest member of our Silver Threads Services Team. She comes to us with a background as a Health Care Aide and is a recent graduate of Camosun College’s Activity Assistant Program. 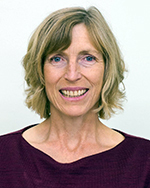 She has always had a keen interest in working with seniors and is passionate about supporting them in living as active lives as possible- physically, mentally and socially. Outside of work she enjoys doing arts and crafts, exploring the sites of the city and staying active through weight training, walking and running.